Kamar Baldwin dribbles the ball up the court. Baldwin is the team’s leading returning scorer. Jimmy Lafakis/Collegian file photo. Thompson showcased stellar defense during his freshman campaign. His propensity to drive and kick is a dangerous weapon. He can also finish at the basket. If his outside shot connects this year, he will be dangerous on both ends of the floor. He led the team with 118 assists last season, the most ever from a Butler freshman. Butler’s lone walk-on earned a plethora of Bulldog fans last season. His 3-pointer against DePaul to achieve “Lemon-80” will go down in the annals of Hinkle history. Donovan appeared in 10 games in his freshman campaign. The knee brace is officially gone and David appears ready to unleash his full potential. Regarded as a prolific shooter, he should have more opportunities to prove his mettle. David played in 25 of Butler’s 35 games last season. Baddley showed outside shooting prowess last year. He led the team in three-point percentage, converting on 20 of 43 attempts. His length and activity will prove to be a boon for the Bulldogs. The athletic wing is now battle-tested and provides another nice piece for this deep roster. Gillens-Butler is an intriguing player. He didn’t see much playing time last season, but he has slimmed down considerably. The versatile guard/forward scored a season-high six points in a 61-point victory against Western Illinois University last season. Brunk received a redshirt for his freshman season during last year’s campaign. He, too, has slimmed down and appears to be in the best shape of his life. Butler will need Brunk to bang down low. He shot 52 percent from the field and grabbed 35 rebounds in 109 minutes of play last season. Quite simply, this year is Baldwin’s time to shine. He takes over the team’s alpha role. The active guard averaged nearly 16 points per game last year and is on pace to eclipse 1,000 total points early in the season. On Oct. 17, Baldwin earned the No. 30 spot on CBS Sports’ list of Top 100 (and one) players. The Bulldogs will go as he goes. Fowler averaged nearly six points and three rebounds last season. With the departure of Tyler Wideman, his role increases. 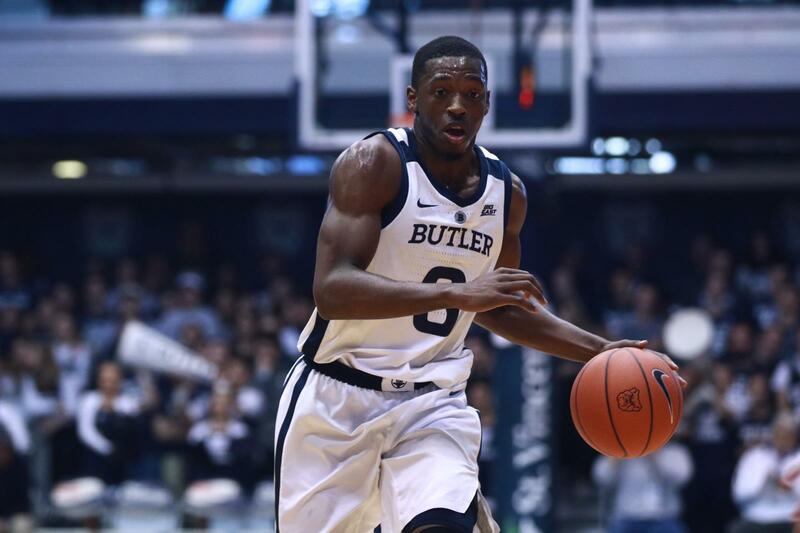 Butler needs him to provide a strong interior force on both ends. He and Jorgensen are the lone seniors on the roster. Jorgensen brought a spark the Bulldogs desperately needed last season. He’s more than a shooter, though. The native New Yorker can also drive to the basket with aplomb and has a nice touch around the rim. His hustle endeared him to the Butler faithful, and he averaged over 10 points per game last season. McDermott is primed for a breakout season. He showed flashes of greatness last year —17 points against Xavier University in Hinkle come to mind. The native Hoosier is a veteran now and he projects to be a strong piece this season. McDermott scored in double figures 10 times last year. Golden, a former AAU teammate of Thompson’s, committed to Butler in April. He measures as the third-tallest player on the roster. He averaged 15 points per game as a senior for Saint James School in Hagerstown, Maryland. Do the Bulldogs have the next Andrew Chrabascz on their hands? That thought might not be too far-fetched. The active Nze will have to sit out this season. He has two seasons of eligibility remaining. The University of Wisconsin-Milwaukee transfer has practiced with the Bulldogs. He boasts a high motor and is a proficient rebounder. Last season, he led UW-Milwaukee with 8.5 rebounds per game. The Duke transfer brings an element of surprise. Big East teams have not seen Tucker play in the conference. He’ll become eligible to play after the first semester ends and his length and shooting ability will bring another dimension to the Bulldogs. If he’s connecting from deep, watch out. Tucker was ranked No. 40 overall and No. 8 among small forwards in the class of 2017 by ESPN, coming to Butler as the highest-rated recruit in program history. Hastings comes off a stellar prep career at Godwin Heights High School in Wyoming, Michigan. He averaged over 23 points and 15 rebounds as a senior. A freak athlete, the lanky forward adds even more depth to this wing-heavy roster. He is quite a raw talent and could earn spot minutes.